1. 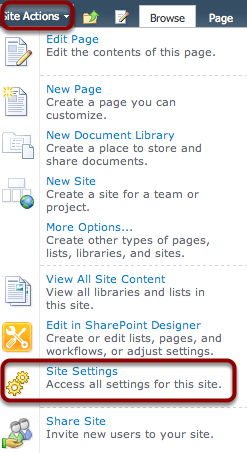 Login to the SharePoint Site and click Site Actions, then Site Settings. 2. Under the Site Administration heading, click Regional settings. 3. Under the Time Zone settings, use the drop-down box to set the default time zone, then click OK at the bottom.